While the majority of players and stakeholders in the financial space welcome the recent Bank of Ghana (BOG) intervention regarding the recent the ‘collapse’ of the five banksand the creation of the new Consolidated Bank Ghana Limited (CBG), this move has generated some uncertainty over the legal dimensions of the regulator’s intervention. In the news, we have heard varied talk of a merger, acquisition, consolidation and dissolution of these failed banks. It is my opinion based on the information so far available, the main regulatory legislation the Banks and Other Specialised Deposit-Taking Institutions Act, 2016 (Act 930) (BSDI Act) and basic insolvency rules that what has actually happened is neither a merger, acquisition, consolidation nor dissolution strictly and properly so-called in law. It is a ‘purchase and assumption agreement’ under the BSDI. The following 10 points may be useful in understanding why the above terms as used in the media are misleading in law. 1. So the five banks until any further happenings will still corporate entities recognised at law. The difference is that they have now lost the right to be characterized as banks following the revocation of their banking licences. 2. All five banks are now the subject of mandatory revocation of licence and initiation of receivership under section 123 of the Act 930 as part of the receivership and liquidation rules for banks under that Act. 3. The object of a receivership is to appoint, a caretaker or manager, to manage the affairs of an insolvent company to wind its affairs in a more co-ordinated fashion at minimal risk to creditors and other stakeholders. An insolvent company under law is one which is unable to meet its obligations as they fall due or where a company is in circumstances where the value of its liabilities exceeds the value of its assets. 4. The Consolidated Bank Ghana Limited (CBG) is an entirely new company. It was created and granted a banking license of its own after government provided the new minimum capital requirement to operate as a universal bank. It is at present 100% owned by the Government of Ghana although there has been a stated intention to offload these shares in due course. Deposits and other key assets of the five failed banks were then transferred to CBG almost at the same time that the appointment of the receiver. The CBG is, therefore, being used a ‘bridge institution’ as envisaged under section 127(11) of Act 930. Why then are the terms being bandied around in the news media misleading? 5. What happened with the banks is not a MERGER because none of the banks are fusing the entire scope of their liabilities and assets into a new single entity. This statement has its qualifications but it will suffice in the context of this discussion. In a merger, one or more of the original existing companies before the merger may lose their corporate personality altogether. Here there is a fusion of shareholding and related value between the previously existing companies. This is clearly not what is happening in this case. The five companies will continue to remain distinct are not fusing with the CBG in any way. 6. What has happened is not strictly an ACQUISITION either. In an acquisition, one corporate entity raises finance to buy all or a majority stake in the shareholding of the company it wishes to acquire. When it has gained shareholding enough to strategically influence the corporate direction of the other company, this is for all purposes an acquisition. 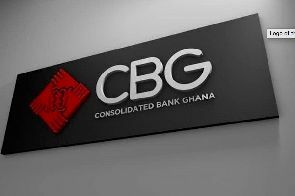 The Bank of Ghana through the newly created CBG has not sought to acquire any of the failed banks as a whole in a way that the shareholding was acquired by the new bank created. 7. Perhaps then, the name “Consolidated Bank” proves that this is a consolidation. Not quite! Consolidation is not a term of art under the scope of our insolvency laws. It comes closest to the above definition of a merger. The news stories have largely focused on the BOG’s forceful ‘consolidation’ of the five companies (former banks). What has happened may loosely be described as a ‘consolidation’ in ordinary terms. It is truly, however, a short-term consolidation of the MANAGEMENT and OPERATIONS of these five failed banks but not a consolidation of their corporate character and/or their shareholding. They continue to remain distinct under the receivership. Only the ‘deposits and other key liabilities’ of the five former banks have been transferred to or assumed by CBG. So after the August 1 announcement, one new company became a bank and five existing companies lost their status as banks. 8. It is easiest to discount the point relating to the DISSOLUTION. At the moment, the five companies are the subject of a receivership. When the assets and liabilities which are not assumed by CBG are reconciled against each other, the resulting net value of each company after the process will decide whether or not a path is taken towards their liquidation. It is then, and only then, that the process may be continued towards dissolution. The revocation of a bank’s licence cannot in law be equated to its dissolution. In a revocation of licence, it only loses its legal authority to trade as a bank. It remains a corporate entity recognized at law, although very limited in what it can and cannot do. 9. What has actually happened? What has happened is a convenient ‘assumption’ of key assets in order to maintain the stability of the financial space. When this happened with regard to UT and Capital Banks, the BOG called it a Purchase and Assumption Agreement because, it did not, at the time, create a new entity to assume the ‘deposits and key liabilities’ of the two failed banks. It sold the assets to GCB. The BOG has power, through the appointed receiver, to do so under section 127 (10) of Act 930. 10. What has therefore happened is an assumption of some assets of the five former banks. Section 156 of Act 930 defines a purchase and assumption as “an agreement in which a part or the whole of the assets of the failed bank are purchased and all or some of the liabilities are assumed by an acquiring bank”. In this instance, the financial muscle of the State was used to create an entirely new entity to contain the risk to the overall financial space. While this dispels the questions about the legality of the BOG intervention, there are perhaps questions relating to the process. It is trite that the recognition of power to do one thing is as important as the process to give effect to that power. The coming days will determine the course of the legal direction of this very interesting interventions by the regulator. On August 1, 2018, the BOG revoked the licenses of uniBank Ghana Limited, The Royal Bank Limited, Beige Bank Limited, Sovereign Bank Limited, and Construction Bank Limited and appointed a receiver for all five companies. 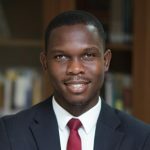 Kenneth Ghartey is a Lecturer in the Law Department of Lancaster University Ghana. Kenneth is currently involved in teaching Company Law and Commercial Law. His research interest spans law and regulation of financial markets, intermediated securities, corporate governance in developing economies, issues in the intersection between law and real estate finance and the utility of teaching tasks and assessments in legal education.